seen Google+ yet! Built from the ground up to be useful to both desktop and mobile users, Google+ offers the same great features as other popular social network sites?yet, Google+ goes one step further by integrating popular Google technologies and introducing exciting new and unique features such as "Circles," "Hang," and "Sparks." 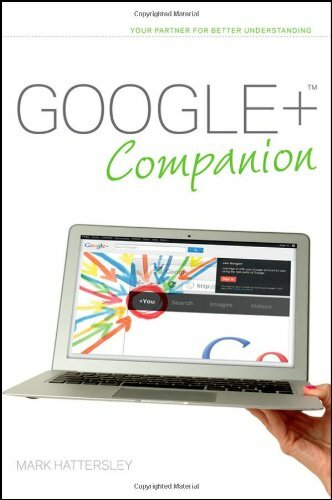 Using clear, step-by-step instructions, Google+ Companion helps you master this amazing new social networking technology. Highlights the new and innovative features of Google+ with the use of clear, easy-to-understand descriptions Introduces you to "Circles," a brilliant feature that allows users to decide what updates and personal information each group of friends see Shares helpful details to explain "Hang": the new group video feature Walks you through "Sparks," which integrates Google search into the social network Addresses how Google+ will be supported on desktop computers as well as Android and iOS devices Step into the newest world of social networking sites with Google+ Companion!